The four dimensions of flawless eyes. The four dimensions of flawless eyes: volume, length, curve, and high definition. *Clinical study – Assessment of treatment effect on bare lashes – 25 women – 4 weeks. Apply your mascara from the roots of your eyelashes to the tips, under then over the lashes to fully coat them. 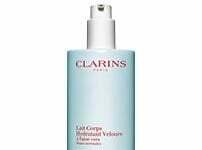 Apply a second coat of mascara for a more sophisticated make-up look. Why 4D? Incredible volume, extreme length, perfect curl and high definition. 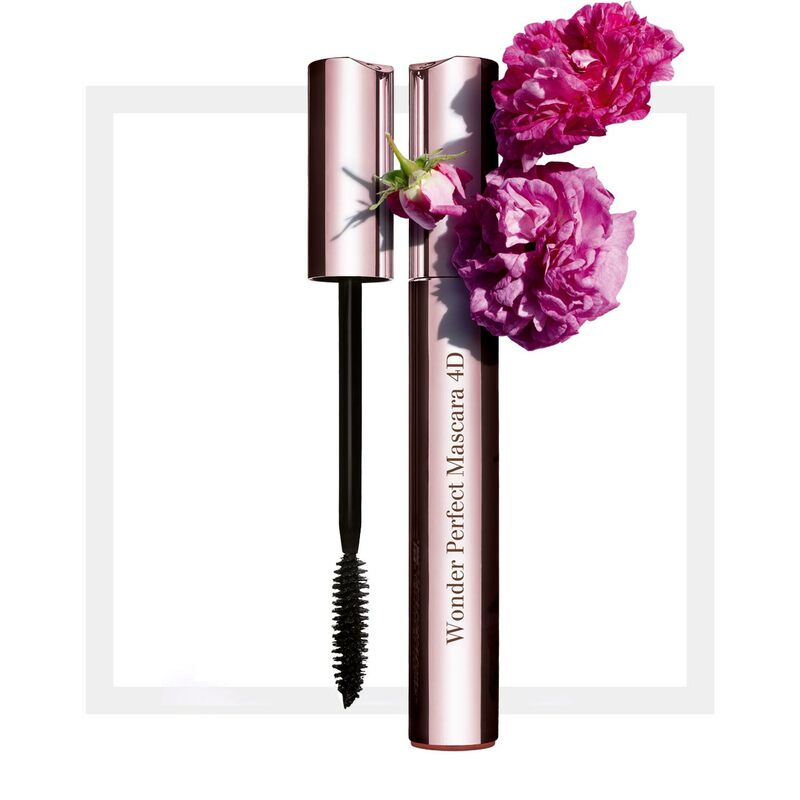 New Wonder Perfect 4D Mascara offers flawless lashes: thicker, longer, perfectly curled and defined. *Clinical study – Analysis of treatment to bare lashes – 27 women over 28 days. 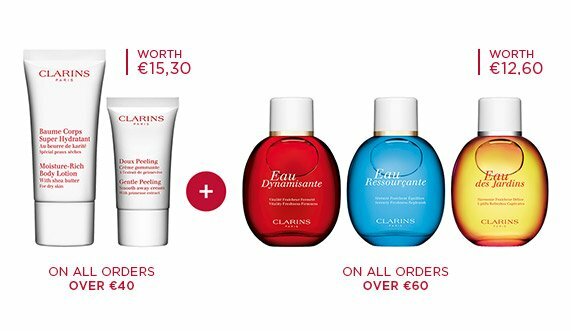 For pro-looking eye make-up in no time, Clarins brings you 4 essentials which are both innovative and super easy to use: New Wonder Perfect 4D Mascara for a fabulous 4D look, New sublime Ombre Eyeshadows, New Waterproof Pencils and the perfect Eyebrow Pencils for flawless brows. Everything to make you smile. A stroke of pure colour.